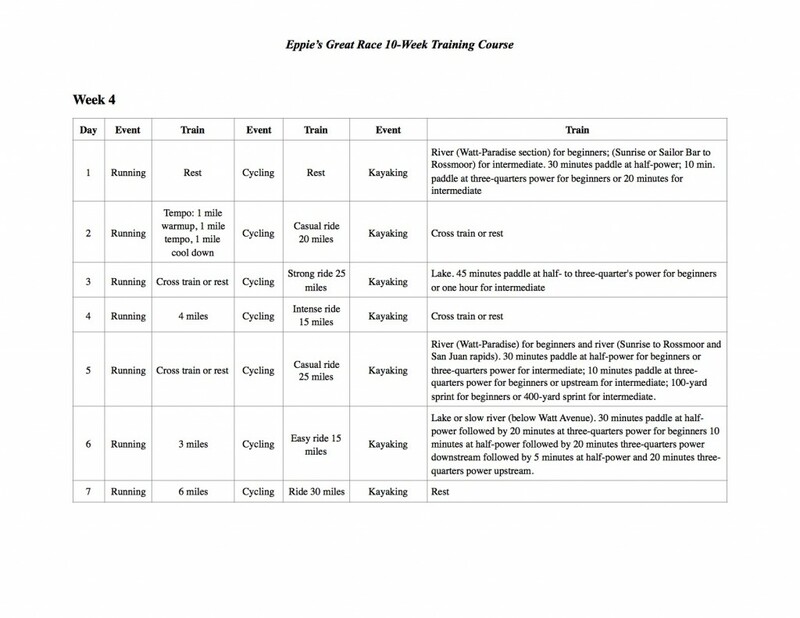 The following is a 10-week suggested training schedule for all three legs in Eppie’s triathlon event: running, cycling and paddling. 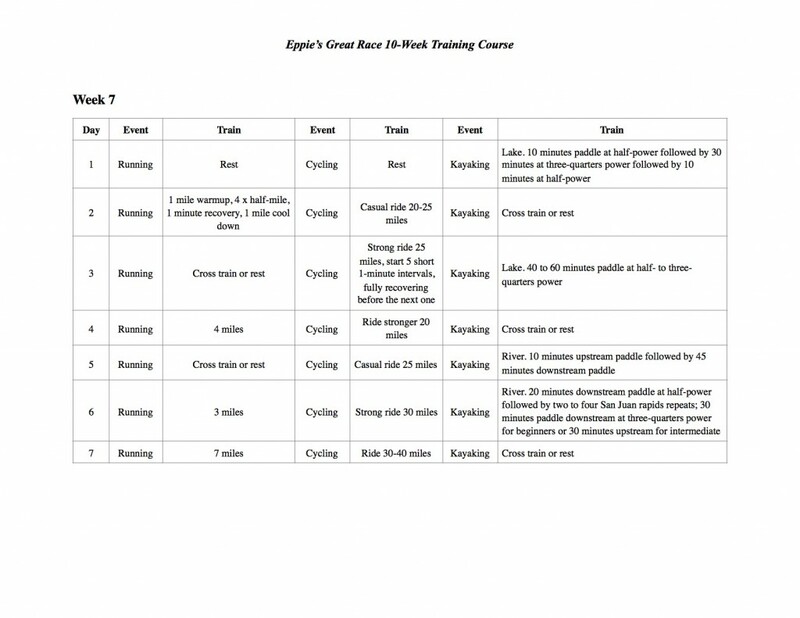 Download a printable PDF version of the 10-week suggested training schedule here. School and sponsored by Eppie’s Great Race. 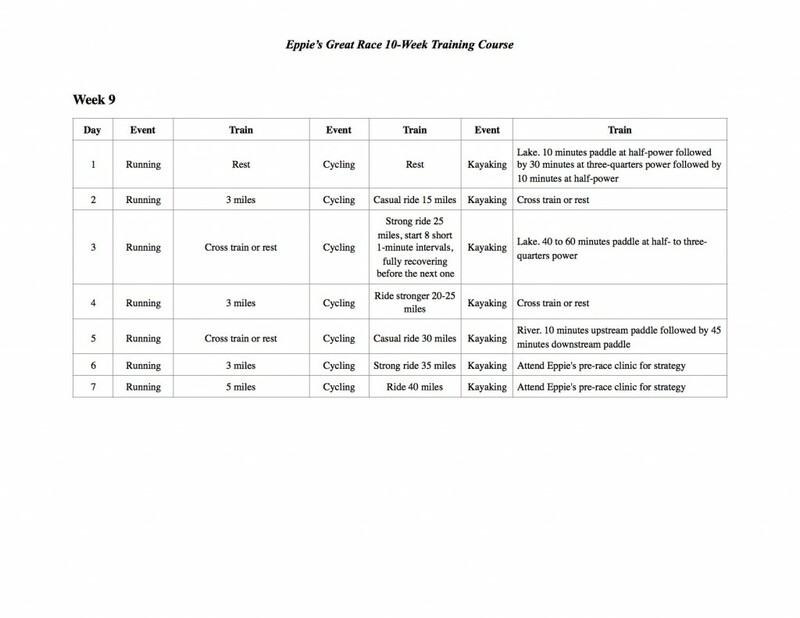 EGR Junior Participants received 4 kayak training sessions and race day kayak use, delivery, & pick up for $75. What a deal, as this is normally a $309 cost! 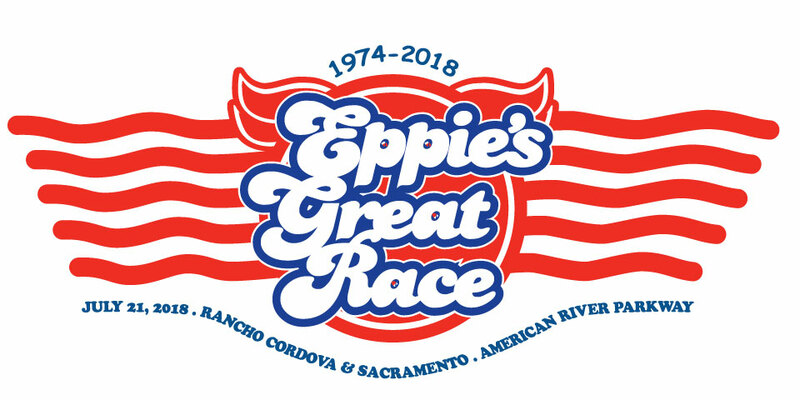 This all-day clinic is an introduction to paddling the Lower American River to prepare for the Eppie’s Great Race®. 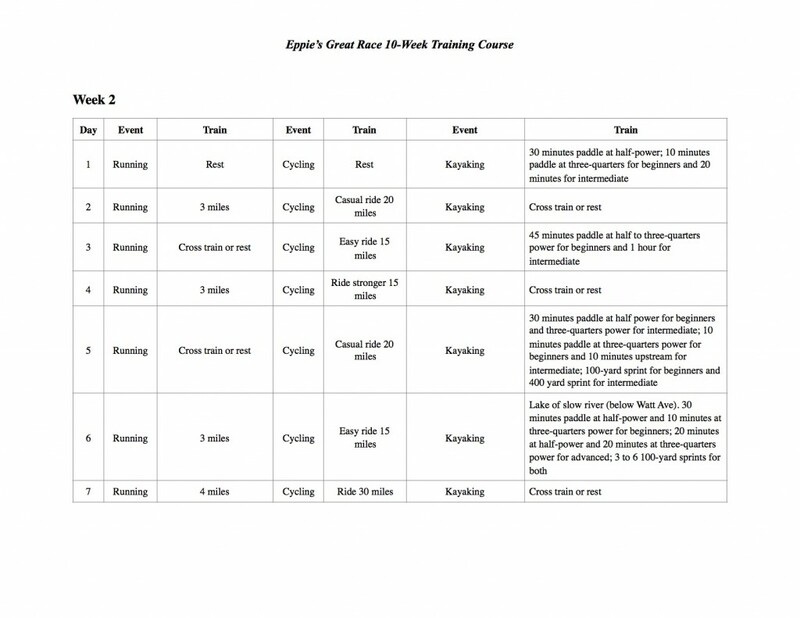 After safely completing this clinic, you are entitled to use the Aquatic Center’s kayaks (kayak, paddle, lifejacket and helmet, are all included) for the upcoming Eppie’s Great Race®. 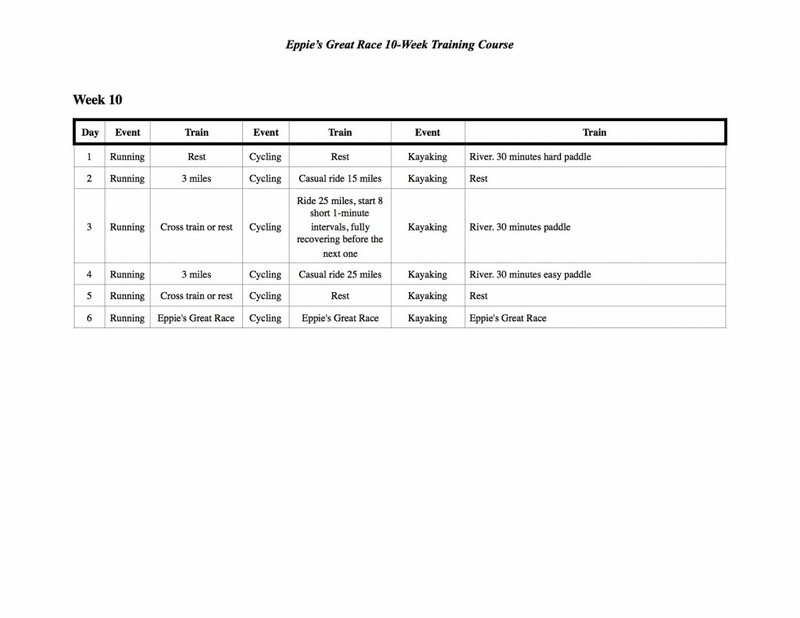 Kayak’s can be picked up Friday before the race and must be return on Saturday after the race (The Aquatic Center does not supply transportation for the Race Day.) 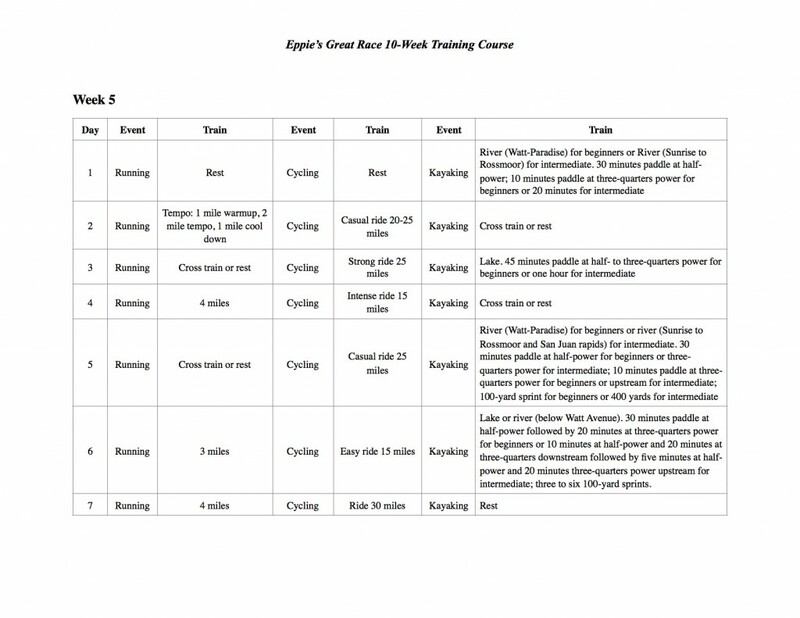 Entry to The Eppie’s Great Race® is not included with the clinic. 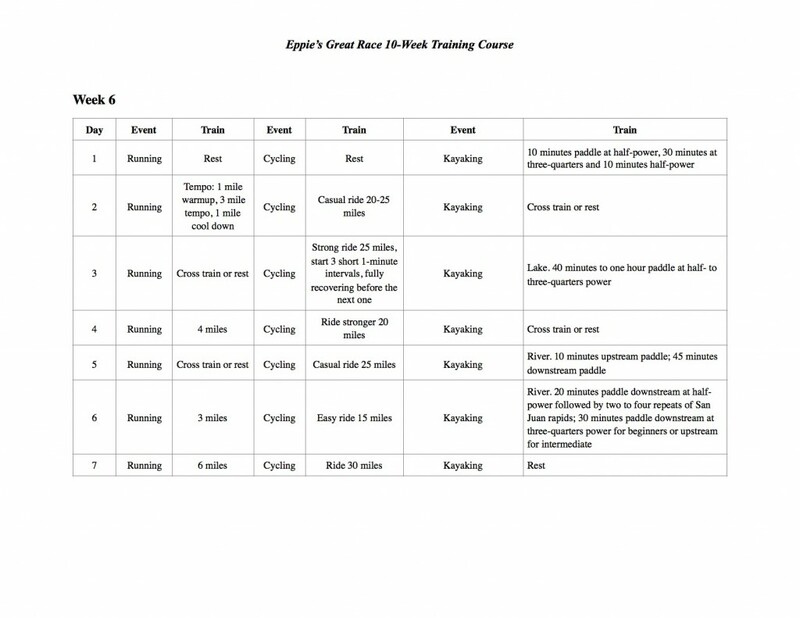 This clinic is designed for those people that have already completed one of our Eppie’s Great Race® Clinics in the past. 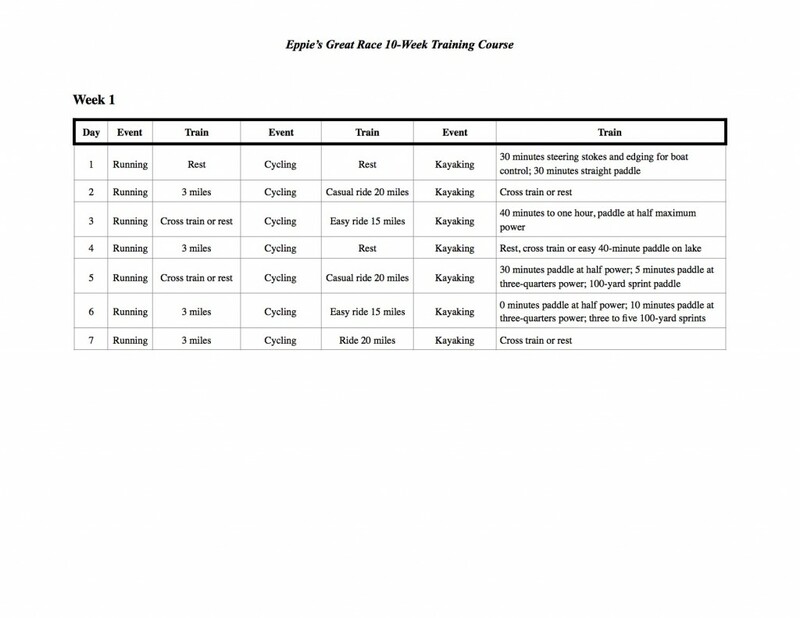 With this refresher, participants have use of the Aquatic Center kayaks and support supplies for the Great Race. 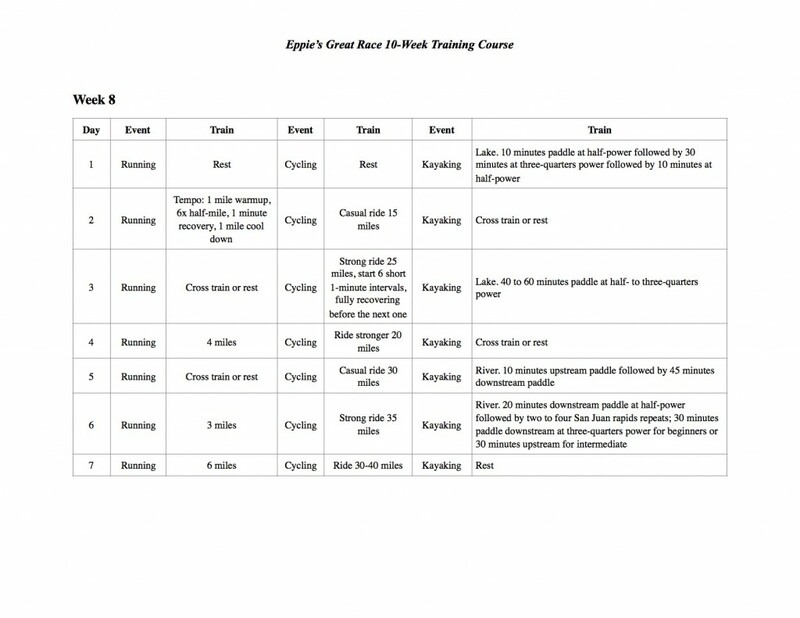 Entry to Eppie’s Great Race® is not included with the clinic. **RACE TRAINING SESSIONS ARE NOT FOR FIRST FIRST TIME PADDLERS. PLEASE SEE OUR “INTRO TO PADDLING” COURSE. Session 1 – Focus on the fundamentals of each paddler giving you individual coaching on your technique. We will also cover how to stay injury free through the use of proper stretching, warming up, cooling down and paddle specific cross training off the water. Footwork and balance drills will also be introduced getting you ready for session #2. **Both include board and paddle drop off at paddle start and pick up at finish. You must provide your own life jacket.